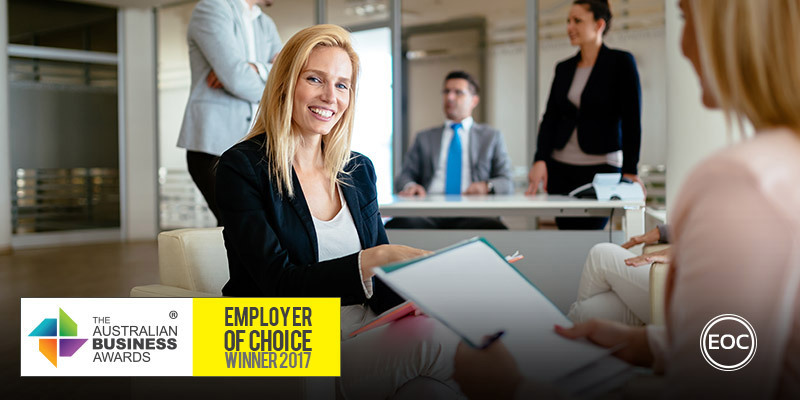 Data#3 has been recognised as an Employer of Choice in The Australian Business Awards 2017. Data#3 Limited (ASX: DTL) is one of Australia’s leading business technology solutions companies servicing customers across a wide range of industries throughout Australia and the Asia Pacific. The company was established in 1977, and listed on the ASX in 1997. The company reported revenues of $983.2 million in FY16. Their workforce consists of more than 1,100 employees and contractors, and is headquartered in Brisbane with offices, data centres, and configuration and warehousing facilities across Australia. The Data#3 business, structure and technology solutions are all designed to help customers meet their business objectives. They consult with customers to help them design, deploy and manage business technology solutions. The organisation’s commitment to staff is to inspire and support their pursuit for excellence and to meet the challenge of work-life balance. In addition to reward and celebrate their success as members of a team and as individuals. Along with their core values, this strategy underpins their approach to recruitment and employee benefits and is highlighted in their Learning and Development and Work-Health-Life Balance programs. Their internally developed and bespoke leadership and management development program is called ‘Lead with HEART’. The program contains 3 components to ensure they have a holistic and balanced approach of cultural and strategic alignment, opportunity for reflection and growth, ongoing support, and an embedding of the company’s values in leadership and management. They have invested heavily in Sales Enablement and Sales Capability programs in the past 2 years – adopting CEB’s ‘Challenger Sale’ Methodology. This program will equip their sales teams with new skills and capabilities in helping their customers to achieve successful technological outcomes. Along with implementing best-practice sales processes and tools all sales managers and sales reps attend a 2-day intensive training workshop and receive ongoing coaching and support from both the sales enablement and learning and development teams. Investment in continual development of specific technical skills to ensure their professional services teams remain at the forefront of the technologies and required knowledge and skills to continue delivering innovative solutions for their customers. Providing technical staff with opportunities to complete relevant training and certifications, attend industry and vendor conferences, and access to industry leading e-Learning content through third party subscriptions. The companies OD&HR team have developed and implemented a Career SWOT process which is used as a framework for coaching staff on personal and professional development opportunities. Since they began this process 18 month ago, they have conducted close to 100 sessions – with many of the participants continuing to have ongoing coaching. These initiatives are specifically tailored to meet organisational, team or individual needs – putting the right content and capabilities in the right place at the right time. Investing in skills and capabilities is one Data#3’s top strategic priorities and will continue to be so into the future. Developing employees’ potential and supporting them to achieve high performance is a priority for Data#3. Employees who are supported to grow and develop at work not only contribute positively to the business’s bottom line, but their increased satisfaction leads to increased levels of discretionary effort, higher innovation and better retention.